by Sarah - March 13th, 2014. Filed under: Gardens and Homes, Price Reductions. 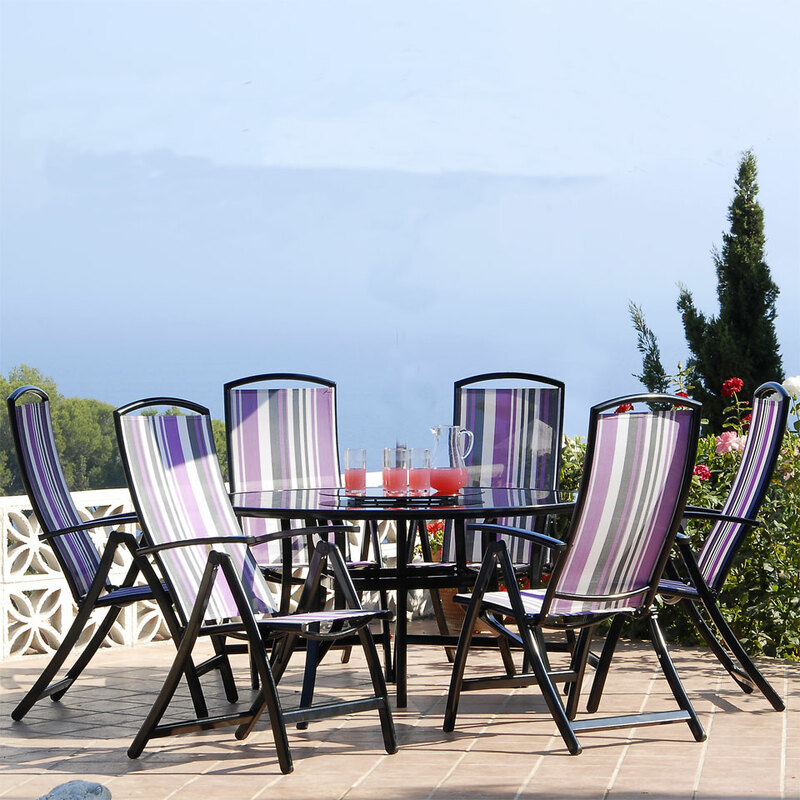 The Suntime Antigua Purple Stripe 4-Seater Patio Furniture Set. This metal garden furniture has four aluminium recliner chairs and a 1.2m round table.Suave and sophisticated, the textilene fabric on this stylish collection is enhanced by the shiny rust free aluminium framework. Extremely comfortable and hard wearing, this garden furniture will be the focal point of your patio or lawn.Dimensions:1 x 1.2m Round Table with parasol hole.4 x 110cm x 58cm x 66cm Recliner All glass table tops are tempered safety glass and comply with British Standards.